Do You Know These Seatbelt Dangers? | Phoenix Personal Injury Law Blog - Breyer Law Offices, P.C. blog home Auto Product Liability What Can Go Wrong with a Seatbelt? In this article, we’ll take a look at what you should know to stay safe. How Can a Seatbelt Fail? Accidental release occurs when the button on the seatbelt is placed in a poor location and can be bumped or depressed by accident, causing the seatbelt to unbuckle. A seatbelt can be accidentally released during the violent motion of a wreck, or in normal daily use. Some seatbelts appear to be latched when they are not. This is known as false latching and presents an added danger, as the occupant believes that he or she is secured when in fact that is not the case. In the event of a crash, the occupant could be ejected from the vehicle and suffer catastrophic injuries. Seatbelts are designed to keep an occupant restrained when the car brakes suddenly or hits another object. Some faulty belts can release the occupant when sudden force is exerted, rather than restraining him or her. The retractor mechanism on the seatbelt is what keeps the belt tight and secure against the occupant. If this mechanism fails, the belt remains loose and cannot provide the needed restraint in the event of a crash. If your seatbelt fails, you shouldn’t brush it off. You may have an auto product liability case, and the manufacturer may owe you significant compensation if you were injured. Talk to a local personal injury lawyer to explore your options. How Can a Seatbelt Injure You, Even If It Works? There’s something called “seatbelt syndrome,” and it’s basically a collection of injuries that people get after being yanked back during the initial impact—mostly, to the abdominal organs. As this scientific study pointed out, seatbelts don’t decrease the amount of force you sustain in a crash, they just redirect it to protect you as much as possible. Seatbelt syndrome may include a minor or complete rupture of the colon, bowel, stomach, liver, spleen, or pancreas; damage to the blood vessels; and/or spinal injuries. These signs may not show up for a few hours or a few days, so go see your doctor immediately after a car accident. Even if you think you’re okay, it’s good to let your doctor know what happened so he can be on guard from common crash-related injuries. Though seatbelts can hurt you, they protect drivers and passengers from something much worse in a crash: occupant ejection. Always wearing a seatbelt. A functional seatbelt will help keep you secured in your seat. Wearing your seatbelt correctly. If your seatbelt is not snug against your lap and chest, it may not work properly. Never riding in a vehicle that is missing a door. Many off-road vehicles, such as jeeps, do not have doors to help keep occupants inside. Choosing a vehicle with a low center of gravity. Many ejection accidents occur during rollover crashes. Vehicles that are wide and low have a reduced chance of rolling over. This is why SUVs and pickups are involved in a large percentage of ejections. Only using dealership-approved airbags. Airbags can help keep you in the vehicle as well. If you replace your airbags with a cheap, after-market product, it may not work properly. Getting your vehicle serviced. Defective brakes, steering columns, and tires can cause a vehicle to veer out of control, so regular maintenance is a must. Practicing safe driving habits. Occupants in speeding vehicles are more likely to be ejected during a crash. While you may still be injured in a crash, preventing an ejection makes it far less likely that you will suffer fatal or catastrophic injuries. We hope this information makes you buckle up while still remaining aware of the limitations of seatbelts. If you were injured in a serious auto accident in Phoenix, we recommend speaking to a lawyer. 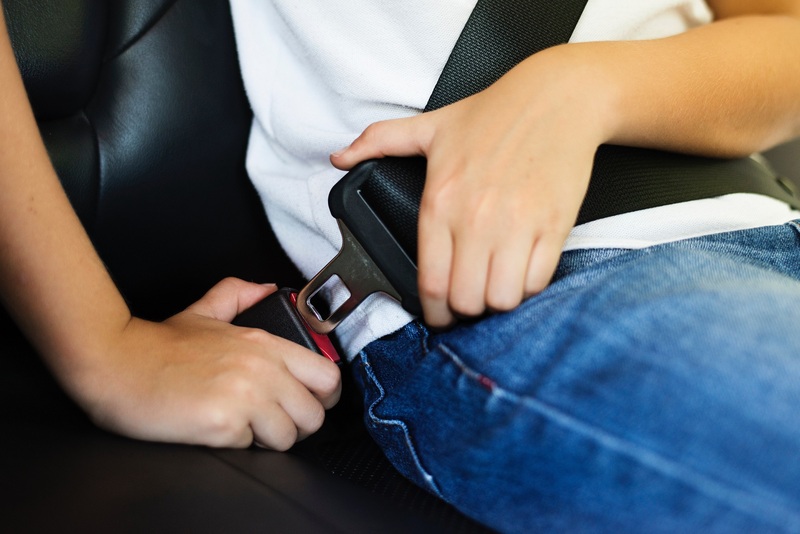 Our Phoenix seatbelt injury attorneys at Breyer Law Offices, P.C., offer a free consultation to go over your options. Call (602) 267-1280 today! Are Automatic Braking Systems Safe?